Those who support the principles of good government are up in arms because City Council decided not to hold hearings or vote on Mayor Nutter’s proposal to sell the Philadelphia Gas Works. Rather than being a “once-in-a-lifetime opportunity” to fix our long-term pension funding problem, the sale of PGW violates most of the principles of good government. Those who support the principles of good government are up in arms because Philadelphia City Council decided not to hold hearings or vote on Mayor Nutter’s proposal to sell Philadelphia Gas Works. They have a point: We do need a broad discussion of the future of PGW in the city. Council President Darrell Clarke has called those hearings for this week. They give us an opportunity to evaluate the mayor’s proposal from the perspective of those same principles of good government. Seen in that light, rather than being a “once-in-a-lifetime opportunity” to fix our long-term pension funding problem, the sale of PGW violates most of the principles of good government. One central principle, transparency, requires that, before a mayor or council acts on a proposal, we citizens should know exactly what it contains. But in this case, the proponents of the sale have been misleading us. 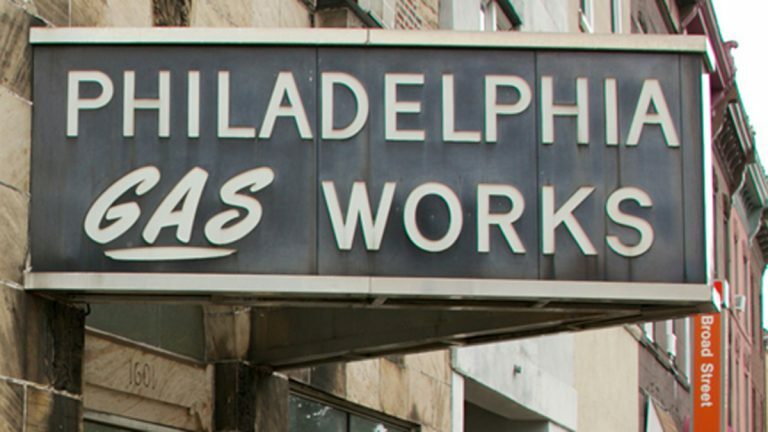 To begin with, they claim that the sale of PGW will add more than $400 million to the pension fund which would reduce annual pension costs by $40 million. But that only comes at the cost of $18 million a year in current revenues, which has the present value of $200 million. So the net addition to the pension fund is only $200 million and to the budget of $22 million per year. And second, the proponents of the sale present it as an asset sale that trades the value of PGW for a major infusion into the pension fund. But there is something peculiar about the sale of an asset whose value to UIL, the proposed buyer, is the ability to charge Philadelphians more and more for natural gas. Why would a company spend $1.86 billion for PGW, which has a surplus of $18 million a year, giving it a yearly return of 1 percent on its investment? The buyer would need a huge increase in profits to reach the industry standard of around a 10 percent. And that can be done only in a few ways, as detailed in the reports on the Mayor’s proposal and the highest and best use of PGW by Concentric Energy Advisors to City Council. It could save a little money by combining operations with its existing natural gas operations. But billing and other such operations are a small percentage of the cost of running a gas utility. The most reasonable estimate is that UIL could save no more than $30 million through combined operations — and the benefit of those savings don’t just flow to its Philadelphia operations. This route to increased profits harms our fellow Philadelphians. And any reduction in employment is likely to increase the risk of explosions and fires. All of us who lived through the deregulation of telephone service know that along with decreased costs and new products we got less reliable service. When it comes to natural gas distribution, cheaper, less reliable, more dangerous service is not an option. This may be a good idea, although there is no good reason to replace mains too soon. But given how Pennsylvania regulates utilities, the long-term costs would be higher if UIL did this than if PGW does..
UIL would no doubt start by eliminating the $80 million subsidy to low-income and senior homeowners that PGW provides. But there is no reason to think it will stop there. To reach an acceptable rate of return, it would need to increase rates on all of us, perhaps by tens of millions of dollars per year. We can’t count on the Public Utility Commission to keep rates low, because it is mandated to adjust rates so as to generate the usual rate of return on investment. We in Philadelphia start with not low base rates but high ones. Dramatic increases will be devastating for us. An important good government principle is that the rates charged by monopolies that provide public services should be limited to what is necessary to ensure reliability and safety. PGW is valuable to UIL only if rates go beyond that level. This proposal is almost a revival of the late medieval practice of tax farming, in which the king turns over the right to collect the highest possible taxes — in this case gas rates — in return for an upfront payment. We do have a pension problem, but the way the mayor proposes to solve it violates another principle of good government which is that the costs of the general obligation of government — such pensions for public sector workers — should be paid for by general taxes (on income, sales or property) that fall on everyone. We wouldn’t pay for pension costs by raising parking fees or water fees. So why should we raise natural gas rates to pay for them? General taxes are also the efficient way to fund government because they don’t distort the market prices of goods. Raising natural gas prices might encourages residents or businesses to switch to more problematic fuels. And high gas costs will harm businesses that rely on gas either for heat and power or as a manufacturing component. It’s also hard to understand how higher gas prices can helpe Philadephia become an energy hub. And there is one final good-government argument against the sale. Progressive taxation — paying taxes according our ability to do so — is a firm principle of good government. But as we have seen the program that holds down gas rates for those with low income are likely to be the first ones to be eliminated. It turns out, then, that the proposed PGW sale is basically a financial transaction — of the dubious kind that has become all too familiar to us: shuffling assets around in a way that will deliver far less and cost far more than is promised. The investment bankers will do well, but the rest of us will suffer. It’s not a free lunch for the city but a hidden tax that falls narrowly on some of us and most heavily on the poor and that, by raising gas prices, can undermine our hopes to use natural gas to spur a rebirth of manufacturing in Philadelphia.